Grace in Style: ANTHROPOLOGIE GIVEAWAY! 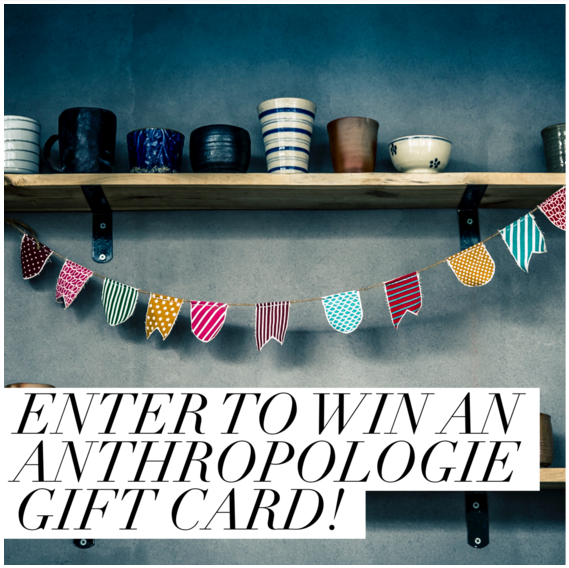 I'm so excited to be joining a group of lovely blogger friends to give away an Anthropologie gift card to one lucky follower! Anthro has so many beautiful items perfect for summer, so crossing my fingers for you! Best of luck!